Not sure how many folks have run into this, but I was kind of curious to see what folks think on this subject. 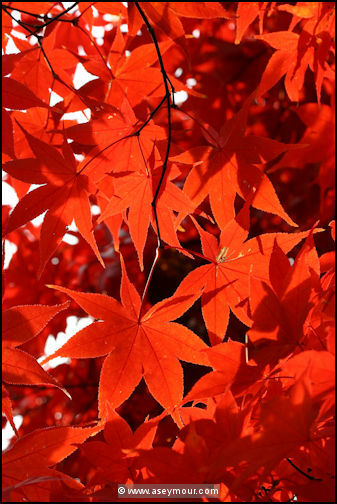 As many of my followers and readers know, I maintain a Flickr account for my photographic work, and may remember that I have a big interest in Japanese maples, to which there are several images in my photostream. 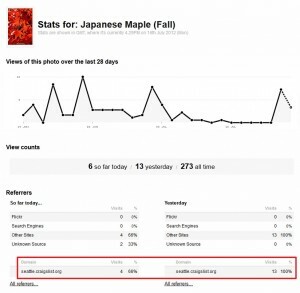 Users of Flickr know that they can track various metrics on their images within their account, and over time you begin to see a trend of where your viewers are coming from. 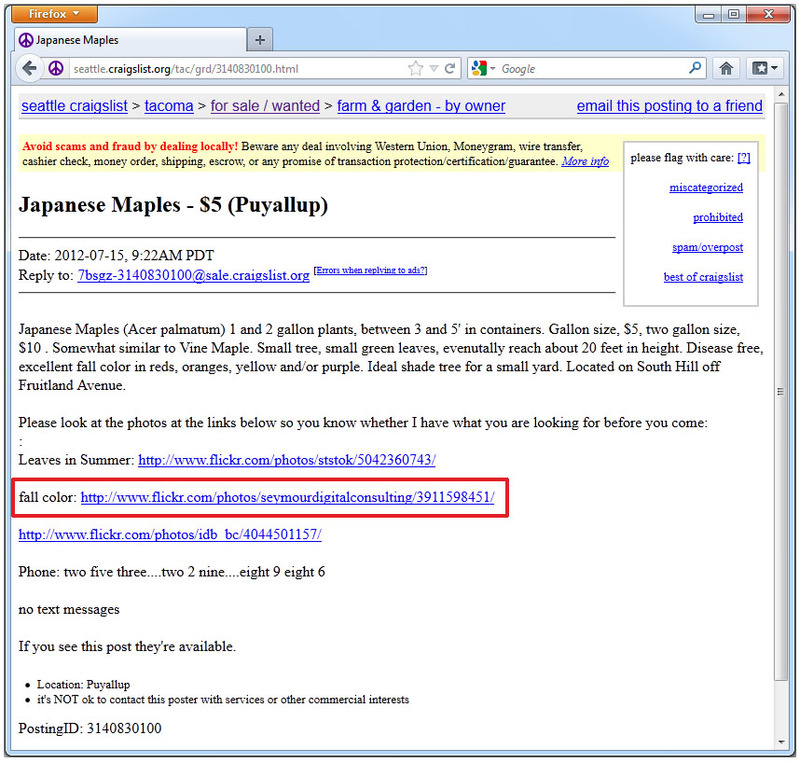 Over the past couple of months, I began to see a Refer coming from Craigslist.com, and one day, I decided to trackback original link, and see what is was being used for, and in doing so, I found a Craigslist User linking to one of my images on Flickr, who was selling Japanese maples in Seattle area. 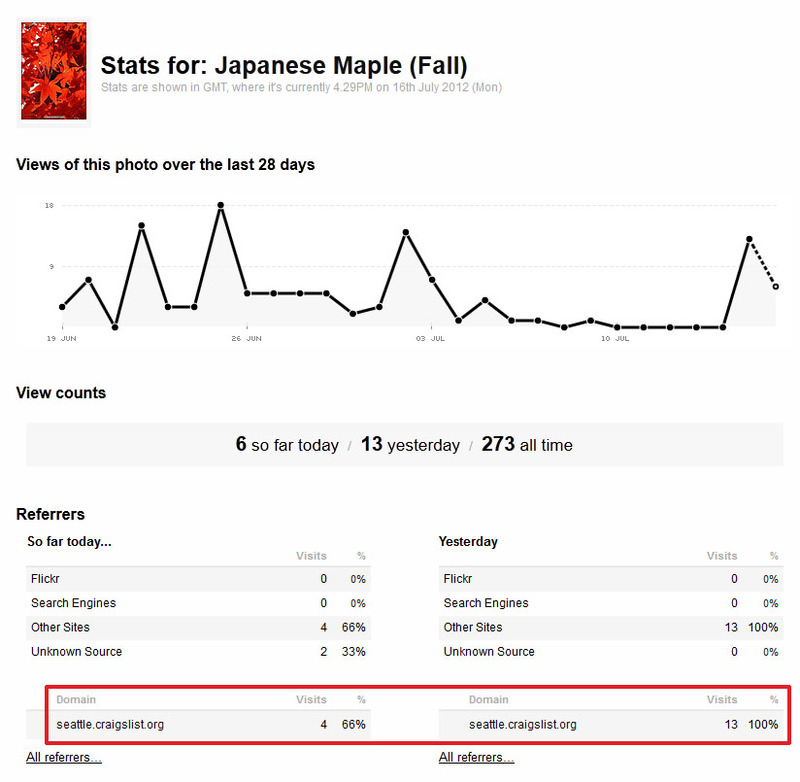 in which I do express my hope that my images are helping in their effort of selling more Japanese Maples. During the next couple of week, I continued to notice some more views, but after a while, they went back to near zero. 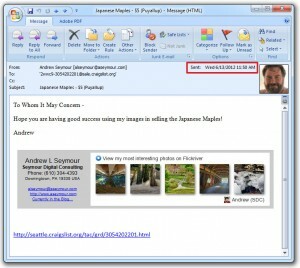 In the mean time, I have gotten no word from the CraigsList User at all. 1) Am I going overboard? 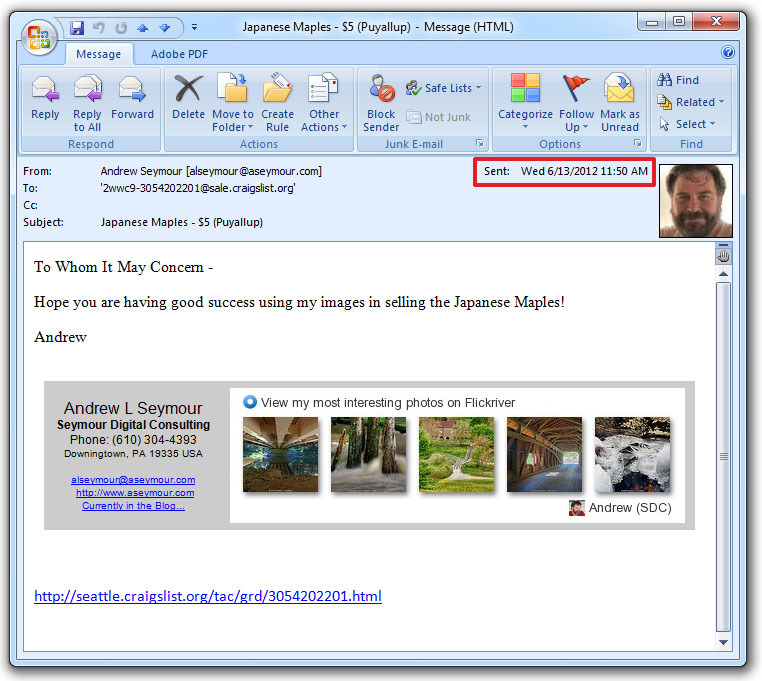 – This CraigsList User is showing my Flickr Link clearly, but at the same time, there is no further acknowledgement, reference, permission or Thank you. 2) Should I be asking for compensation? 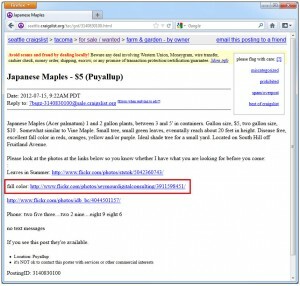 – It appears that this User might be making some money, since this is their Second advertisement on CraigsList. 3) What level of compensation? – We all know, today’s economics are bad, and everyone is trying to make a money, but what is “Fair” these days? and on something like this? 4) What should be my next step?